I am really looking forward to Hugglets on Sunday, not exhibiting this time, just a very good look around and chat with everyone. Keith is moaning because there is not enough hours in the day for him to do all that he needs to, he has been helping a friend with her web site getting a preview of her bears for sunday, and also trying to revamp the new homes pages on my website, so if you have sent photos to us with your creations in their new home please bear with him. Look forward to seeing everyone on Sunday . It amazing what turns up when you are having a sort out. 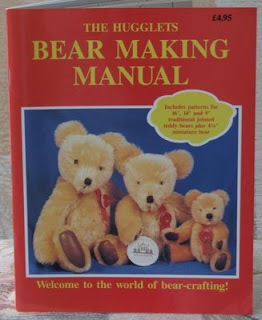 I have just found the very first book I brought about bear making. 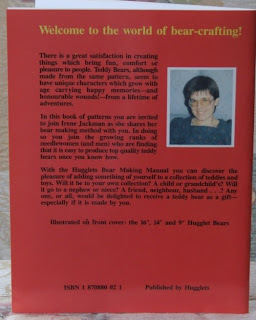 With Hugglets show in London coming up I thought I would share a photo with you. I am looking forward to visiting the show , as I will not be exhibiting at this show, that should give me plenty of time to have a good look around and chat with everyone. Bearst of luck to all the exhibitors. 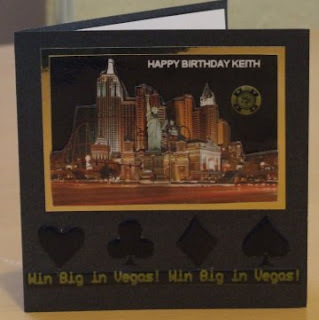 What a busy last few days, the birthday card above was made by my sister, Elizabeth for Keiths birthday. I think it is one of her very best, the Vegas New York New York is 3D, but very hard to capture when photographed. I am in the middle of making a new miniature bear, he will be appearing on the web site later this week. Finally we have just had a couple of inches of snow and it has caused real disruption, and we have more snow to come. Here in the UK we are unable to cope with a small amount os snow whereas other countries have far greater amounts and still manage to carry on. At last we have not had the power outages that a friend in Canada had for a few days, also a friend in the USA has a similar situation. 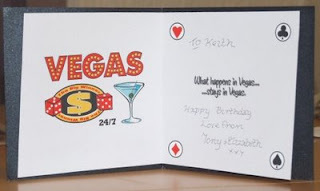 Below is the inside of the card, with the famous Vegas saying, What happens in Vegas, stays in Vegas, LOL.